Unfortunately, Internet connectivity can sometimes be elusive. For example, if you’re on a train, in a hotel with poor Wi-Fi, or your home connection isn’t available, then the only Internet access point you might have available is your phone’s or tablet’s. It is possible to use the connection from your phone or tablet to provide connectivity to other devices – but until now it’s not always been a great solution. In case you’re unfamiliar, tethering means using your cell phone Tethering: How to Connect Mobile Internet to Your PC or Laptop Tethering: How to Connect Mobile Internet to Your PC or Laptop With data tethering, you can use your mobile internet on your PC, laptop, or tablet anywhere. All you need is an Android phone. Read More , tablet, or other Internet-connected device as a modem for another device. It’ll provide a gateway to the Internet in the situations where one isn’t readily available, effectively allowing you to browse and be productive with the same level of efficiency as if you were on your home Wi-Fi network. There are some clear drawbacks, however. Firstly, tethering your phone will drain its battery 7 Ways to Boost Your Cell Phone Battery Life [iPhone, Android, Other Smartphones] 7 Ways to Boost Your Cell Phone Battery Life [iPhone, Android, Other Smartphones] By far one of the most disappointing features in just about every smartphone these days is the battery life, which for most of us requires at least one charge per 24-hour period. Are you a... Read More a lot faster than regular use, especially if you’re using a Bluetooth connection to connect your two devices together. If you’re travelling and away from a power source, this can quickly become an issue. A work around is to use a USB cable to do your tethering. Secondly, you might lose some services on your phone while it’s tethered. Thirdly, you’ll see very slow speeds, especially if you’re in a place without mobile broadband. The biggest problem though, is data usage. If you want to stream videos or do heavy-duty uploading and downloading, tethering is out of the question; you’ll find yourself running out of data on your mobile plan before you can blink. Even just browsing the web eats through data much faster than on a mobile, simply because more content is loaded. Upon release, Google became the first browser company since Opera Is Opera Mini's Data Compression Good Enough to Switch? Is Opera Mini's Data Compression Good Enough to Switch? 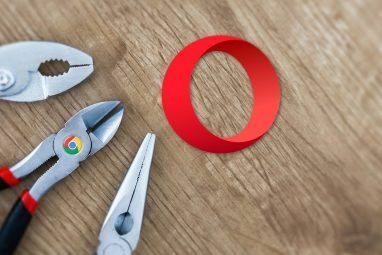 If you're on an older Android, the new Opera Mini is optimized for aging hardware and software. Can Opera actually mount a comeback with this new browser? Let's find out. Read More in 2009 to try and make a serious attempt to tackle data compression on PCs. Traditionally it’s not been much of a problem – PCs have always been connected to Wi-Fi or Ethernet networks and, therefore, bandwidth usage has not been an issue. The growth in the popularity of tethering is changing that. The extension – called Data Saver – is still in beta, but it’s available from the Chrome Web Store. Once you install it, a new icon will pop up alongside the omnibox in your Chrome browser. Clicking it will give you the option to turn the data saver off, and to see the amount of data you’ve saved so far. If you’re interested in more detailed feedback about how much data you’ve saved, you can type chrome:net-internals#bandwidth in the address bar. It’ll take you to a page that displays your latest activity, as well as a live view of your total bandwidth usage with the Data Saver enabled. Because it’s still in beta, you need to be ready for the occasional unexpected behavior, but my experiences (and the experiences of other commenters on the store) have been almost entirely positive. There are some other measures you can take to help save data Reduce Your Mobile Internet Data Usage & Save Money with Onavo [iOS] Reduce Your Mobile Internet Data Usage & Save Money with Onavo [iOS] Fast and reliable WiFi connections are not everywhere. Most of the time, especially in developing countries, people have to rely on slower and more expensive carriers' data connections. 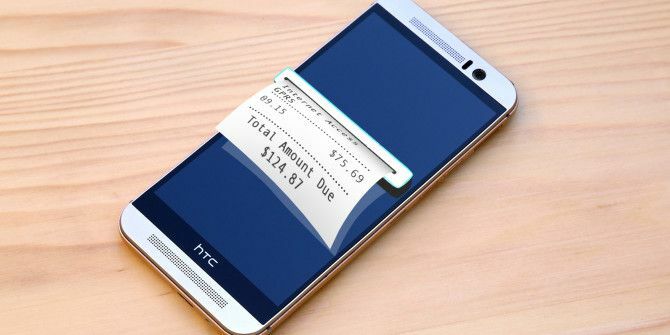 What can customers do to save money?... Read More when you’re tethering. For example, you should set your connection to “metered”. This will stop Windows from downloading any non-critical updates, prevent your computer from syncing with cloud storage services, and restrict Windows Store apps from performing background processes that use data. To enable metered connections on Windows 10, click on the Wi-Fi icon in the taskbar and select Network Settings. Then click on Advanced Options and turn on Set as metered connection. You could also disable images and automatically-playing videos on your browser. If you use Chrome, do this by opening the menu in the top right-hand corner then following Settings > Show advanced settings > Privacy > Content settings > Images. Once there click on Do not show any images. To do the same for videos go to Settings > Show advanced settings > Privacy > Content settings> Plug-ins > Click to play. It means all Flash videos will load as a grey box with a jigsaw piece in the middle. To play the video, just click the box. 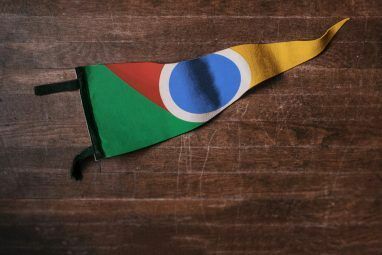 Google’s release of the extension is arguably driven by the growth of Chromebooks. The debate over their usefulness goes on, and while it’s certainly true that the scope of their offline capability Chromebooks Don't Work Offline? Debunking the Myths Chromebooks Don't Work Offline? 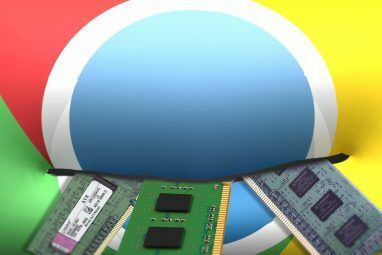 Debunking the Myths One of the biggest criticisms aimed at Google's Chromebooks is that they are online-only machines – ergo, no Internet, no point. How true is this statement? Read More has grown massively in the last 18 months, they’re still not designed to be away from the Internet for long periods of time. There have been some Chromebooks that included 4G LTE data connections. Some of these models shipped in the US along with a free data plan – but T-Mobile and Verizon dropped out of deals with HP and Google respectively. It means that if you now want an always-online experience, you’ll need to sign up to cell network contract – and they aren’t cheap. It now seems Google wants to minimize people’s concerns about diving into the operating system’s world. If they can make mobile tethering a well-known and well-used feature, it’ll ultimately aid their sales. Have you had a tethering nightmare that resulted in a massive phone bill, or are you a regular tether user who doesn’t think twice about hooking up your laptop to your phone or tablet? Have you tried the new Data Saver extension? What was your experience? Do you have tips you can pass on to other tethering newbies? We’d love to hear your ideas, thoughts, and feedback. You can let us know your comments in section below. Explore more about: Chromebook, Google Chrome, Wi-Fi Tethering. I use Tripmode on my mac. Bought it for $7 and totally worth the price! One thing that I do is to have an emulator on your laptop/pc. Best part about this is that it is available for all Windows, Linux and Mac. This emulator "runs exactly the same code as its mobile phone version" resulting in compressed and blazing fast loading speeds.